Welcome to my first post for Poetic Saturdays! As some of you may know, I write poetry, maintain a popular poetry blog named Poetic Asides, and edit a directory of poetry publishing opportunities called Poet's Market . So it's only natural that I'd like to share my love of poetry on here too, and I think the best way to do so is on Saturdays--when folks have time to slow down and breathe in the world around them. The basic structure of these posts will probably evolve over time, but right now I'm leaning toward sharing an original poem by myself, reviewing a book or two, and sharing links to poems I like from across the Internet. Eventually, I might work in a Q&A or two with other poets. about things i can see and those i can't. For a paper house to stand, nearly everything needs to be just right. Such is the case with Carty's Paper House. What I love about the poems in this collection is that they never seem to take the easy way out, and Carty never appears to pull her punches, whether she's addressing baptism or cleavage. At the same time, she never goes too far, and it's this firm restraint in her poetry that really appeals to me. 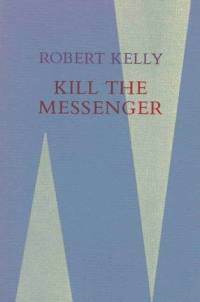 I read this book before I knew that Robert Kelly invented the lune. In fact, this is one of those books I found at a used book store and bought based off the random lines I read and loved. Kill the Messenger takes the reader on a journey of language, structure and inventiveness. Plus, it contains lines like, "Subways led to her, so he loved cities," and, "A vulture prances on a skull,/ tourists pass, their simple hearts/ greedy for experiences." Note: Links in this post to books are affiliate links. However, I do not mention these books just to make a profit. They are either books I'm connected to (in the case of Poet's Market) or ones I truly love (in the case of Carty and Kelly). All other links in this post are not affiliate links. I love this new feature, Robert! It's always a pleasure to see what others are reading and learn from it. This is a wonderful feature, Robert! 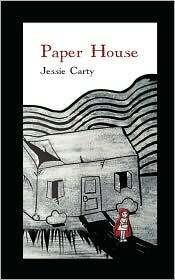 Jessie Carty's "Paper House" was the first poetry collection I read to start off 2011, and I started 2012 off by reading her "The Wait of Atom." They're both excellent reads! It's a great collection, Jessie. Looking forward to grabbing a copy of An Amateur Marriage. You have a great weekend too, Andrea! Yes, I don't think you can go wrong with Jessie's work. Sounds interesting...I will return on Saturday and see what is new in your poetry world. See you then. Please do. See you then! Honored that you included my poem. Might you want to review and/or put up a notice about my new book, Broken Lines--The Art & Craft of Poetry (Lummox Press)?